ASUS has sent out invites for the launch of “a refreshed range of TUF series” in India. The event will be held in Delhi on November 22nd, 2018. The launch is expected to see new additions to the TUF series of gaming laptops. While there has been no news around about which laptops could be coming our way, it is be possible that ASUS could unveil the TUF Gaming FX505 and FX705 notebooks, which were recently launched in Malaysia. Launched on October 22nd, the TUF Gaming FX505 and FX705 come with LED backlit Full HD display and also feature NanoEdge display with 6.5mm bezels. 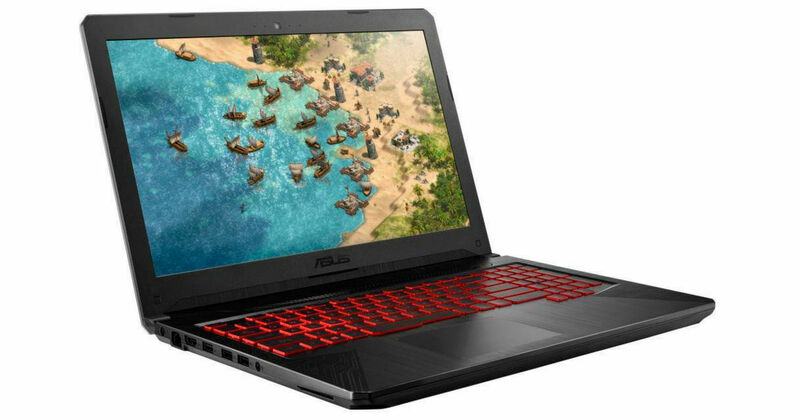 These are also the only gaming notebooks which come with up to 144Hz refresh rate and military grade certification. The “Refreshed Range” meantioned in the invite could be an hint to its impressive refresh rate. While the TUF Gaming FX505 features a 15-inch display, the FX705 features a larger 17-inch display. The laptops are powered by Intel Core i7 processor and can also be powered by Intel Core i5 processor. The graphic on the gaming notebooks uses NVIDIA GeForce GTX 10-series. The keyboard on the series is RGB-backlit and is desktop-inspired; it comes with a cooling system with fan overboost technology. The TUF Gaming FX505 is available in Malaysia at a starting price of RM 3,699 (~Rs 63,399), whereas the TUF Gaming FX705 starts at RM 4,999 (~Rs 85,653). While we can only speculate that these will be the gaming notebooks that ASUS is going to unveil, it’ll only be revealed what the company has in store for us at its November 22nd launch event. Stay tuned to 91Mobiles for more updates!